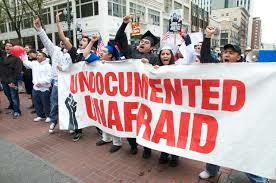 Don’t ask undocumented students to self-identify. Instead, make resources easily available for all students and understand that trust takes time. Do all you can to identify yourself as an ally/supporter. For example, be mindful of your language: say “undocumented” rather than “illegal,” and avoid terms like “alien” or “illegal immigration.” You can also go beyond everyday language by using social media or bumper stickers to make your support visible with slogans like "No human being is illegal." You can learn about in-state tuition and state-based aid requirements for undocumented students, or Deferred Action for Childhood Arrivals (DACA), eligibility requirements and application procedures here. Even if the student you work with is documented, however, having undocumented family members can create stress, fear and guilt. Knowing about institutional policies and the news can help you not only identify resources, but also empathize with what a student and their family may be going through. 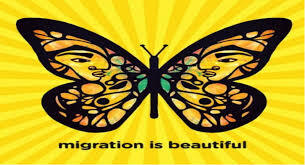 To get started, check out the short films at Living Undocumented or the news at the Immigrant Legal Resource Center. Keep track of scholarships that don’t require citizenship or residency. Help students apply to as many available scholarships as possible. Encourage students to use E4FC’s free, anonymous, and online DREAMer Intake Service to get information about their eligibility for Deferred Action for Childhood Arrivals (DACA) and other long-term immigration remedies. You can help students research potential immigration remedies (if available) through E4FC's "Beyond Deferred Action: Long-Term Immigration Remedies DREAMers Should Know About” and by identifying a reputable, affordable legal service provider in your area. With anti-immigrant rhetoric on the rise in our country, it's more important than ever for undocumented students to be part of a community that is combatting stigma and stereotypes. Through these communities, students can hear from people who have gone through some of the same struggles that they have been through, and sustain or develop hope that things will get better. You can connect interested students to undocumented youth advocacy and cultural organizations, as well as culturally competent and responsive mental/emotional health services. Share art and poetry from undocumented artists, and encourage students to share their own stories if they feel comfortable doing so. Adapted from Educators for Fair Consideration (E4FC). Founded in 2006, Educators for Fair Consideration (E4FC) empowers undocumented young people to achieve educational and career goals through personal, institutional and policy transformation. We envision an America where all young people can pursue and complete an education with confidence and without constraint. Our programming is designed by and for undocumented young people with support from committed allies.